March | 2015 | Superhero etc. Hello interweb, Nate here. So with convergence on its way, I started to think about the last reboot (which happened only 5 years ago), the New 52, and I remembered that while I never really hated the reboot and also never really loved it either, there were several things it did that ticked me off. So I decided to compile a list of some characters the New 52 tried to modernize and failed to do so (unless “modernize” is synonymous with “over complicate and insulting” then yeah they succeeded, but that’s obviously not good). While a few of these may be nitpicks, most of these I honestly feel the New 52 just ruined a few characters. 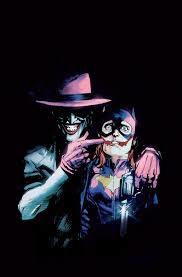 My Opinion on Batgirl #41 Joker Variant Cover, is it Sexist? Hello interweb, Nate here. Okay, I think I’m done with the “NonComic Month” Because of how busy I was last week I didn’t get last weeks post and now I honestly don’t really want to finish it but it wouldn’t be the worst thing in the world if you guys want me to finish it. So below I have a poll asking you guys what you think. 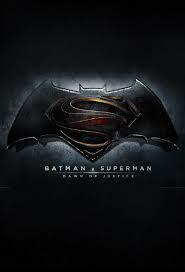 Anyhoo, so information about the upcoming DC movie Batman V Superman: Dawn of Justice has been coming out ever since Man of Steel and as far as I can tell it’s a Justice League prequel that’s going to use Lex Luthor as the villain to get the Justice League together (why exactly can’t they just call this the first Justice League movie?). Basically everybody who likes DC right now is crossing their fingers that this movie will actually be good but many out there doubting it’ll be all that good and/or will be overshadowed by Captain America: Civil War which is taking place the same year and is basically Captain America V Iron Man in a sense. So I already talked about how I’m, hoping the DCCU won’t just be good, but better than the MCU (even though I think I’m just getting my hopes up and I might be disappointed). So here are 7 things that needs to happen in Batman V Superman: Dawn of Justice. Hello interweb, Nate here. Okay, let’s get a few things out of the way: yes I’m still going to finish NonComic Month, yes this post is technically breaking the whole “no comics allowed” rule for this month, and yes this is the new series (that you guys probably forgot that it was even mentioned by now) that I mentioned in my New Years Special. This new series I call Comixplanation as I give xplanations on things in relation to comix (see what I did there?). Now one thing is after DC announced their Convergence event (yet another DC event made to reboot their universe) I bet you guys kinda thought I would talk about it as I seemed pretty excited when I talked about Marvel’s Secret Wars event. The only difference is this is Marvel’s first multiverse-wide reboot while DC is rebooting their universe after they just rebooted it with Flashpoint and the New 52 5 years ago and honestly I never did care for the New 52. So while I’m excited about Secret Wars I’m really ticked about Convergence (where do I get in line?) and really don’t want to talk about it right now. Hello interweb, Nate here. So this is the second week of NonComic Month where I take a look at Superheroes that didn’t originate from the comics. Last week we looked at my top 10 favorite superheroes that did not start out in the comics, but of course where’s a superhero if you don’t have a villain for him to fight? Where’s Superman without Lex Luthor? Or Spider-man without Green Goblin? Or Batman Without Joker? Or Wonder Woman without…uh…Cheatah??? (Seriously, Wonder Woman needs better villains). Anyhoo, here are my favorite supervillains that did not originate from the comics! Hello interweb, Nate here. So today’s the first Monday of March, you know what that means!… (pause for effect) … NonComic Month! This is where I take all of March to focus on Superheroes that are outside the comic books. Sure a few of these guys did get a comic book series after their debut, but they all debuted outside the comic. Now when I first talked about NonComic Month, I gave a schedule for this month (that did say wasn’t set in stone yet) but I decided to change it slightly so the new schedule is below. I’ll try my very best to not change this new schedule But now on to the list!